Yellow chrysanthemums are often seen at Chinese funerals. 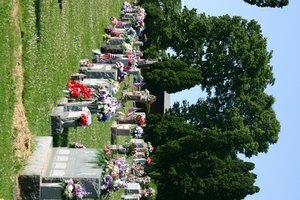 Anyone who has experienced the death of a loved one appreciates the expressions of sympathy offered by friends. This is the case regardless of whether you may feel unsure about offering your condolences to someone of a different cultural background. It's natural to feel this way. Any gesture of sympathy will be welcomed by your Chinese friends. Write a note expressing your sadness for the loss of the deceased. 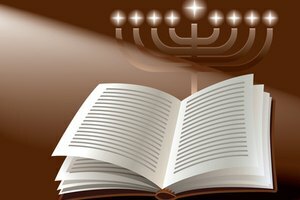 If you knew the deceased well, it is appropriate to write about a special memory. You could include a verse or poem, either composed by you or copied from another source, along with your note. 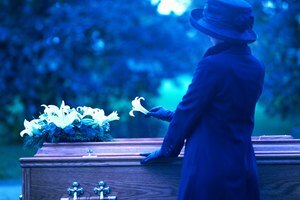 Wear conservative clothing to the viewing or funeral. Black or dark colors are not required but are acceptable. The family usually wears white, which is the color associated with sadness. Wearing red to a Chinese funeral is considered extremely poor taste because red is associated with happiness and prosperity. Remove your shoes before entering if the funeral is in a temple. 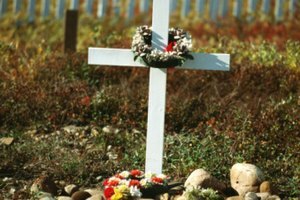 Doing so is a sign of respect for the building, the deceased and his or her family. Bow when you approach the family and/or view the body. Nothing needs to be said. You do not need to shake hands. The simple bow willl convey your condolences very well. Place poems, calligraphy or a gift of money in or near the casket. This honors the deceased. If you give money, never give an even amount. For example, instead of leaving $10 or $52, leave $11 or $53. Odd amounts cannot be divided equally between two people. One person will always have more than the other. 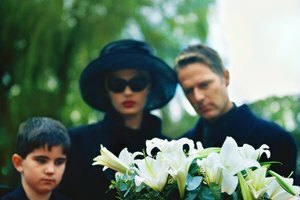 The symbolism behind leaving an odd amount of money is that you are wishing the best for the deceased and the family. Send white or yellow flowers. Gifts of flowers are common at Chinese funerals in the same way that people give food or flowers in a Western funeral. Make sure the florist understands not to use any red flowers, a red vase or any red decorations in the arrangement. Open the white envelope that the family may have distributed. Some families give a small piece of candy in a white envelope to each person at the funeral. This is to remind people that life has its sweetness among the bitterness. When you remove the candy, immediately discard the white envelope, which represents sadness. 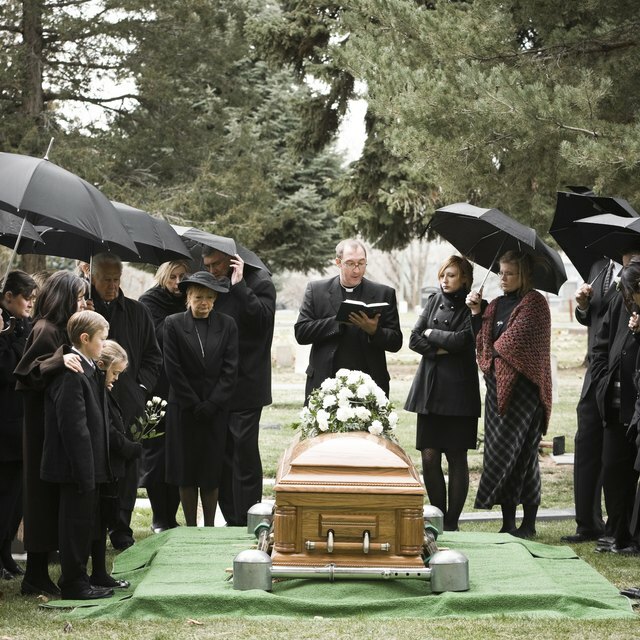 During the funeral, follow the lead of other mourners, bowing when they bow, removing your shoes when they do, and so forth. Walker, Deborah. "How to Express Customary Condolences for a Chinese Funeral." 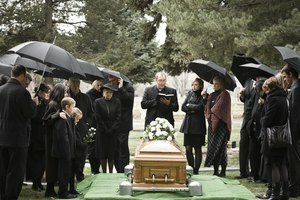 Synonym, https://classroom.synonym.com/how-to-express-customary-condolences-for-a-chinese-funeral-12083752.html. 29 September 2017.